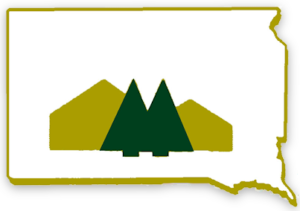 The South Dakota Home Builders Association offers a variety of services and benefits to its members. By participating in the association, members can enhance their business opportunities and gain a competitive edge by staying exposed to the most current information and issues. Being involved in SDHBA sponsored events & activities is the key to getting the most from your membership. 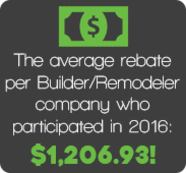 Take a look below to see what else being a member of the Home Builders Association can contribute to your business and the industry on a whole. As a member of your Local Association you are automatically a member of the South Dakota Home Builders Association (SDHBA) and the National Association of Home Builders (NAHB). Your membership brings you benefits from not one, but three organizations. These memberships also allow you and your business to stand out within the building industry while consumers are able to see and have confidence that your business is legitimate and often times involved in the latest products, technology and legislative issues allowing you to provide them the best in the building industry. A big benefit of being a member is the opportunity to network with others within the home building industry. This can be done through many different avenues. Local Associations often hold membership meetings that allow you to visit with others within the home building industry about everything from your current projects to existing or new legislation. Oftentimes these meetings include programs that range from another member showcasing new technology to others providing information on topics ranging from media to paperwork for your business. On a national level Networking is done on many different levels. As a member of your local home building association, you are represented on a State and National Level on many different legislative issues. This is often reflected in the work of networking in Washington. Local and State Chapters are often invited to Washington DC to get our “take” on current legislation. By being part of this networking opportunity, you can get heard and make a difference. The small voice of one business can be reflected through the large voice of a national organization. 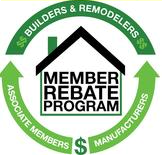 The Member Rebate Program is a member benefit of 41 State Home Builders Association’s and their 600+ Local HBA’s rewarding the loyalty of their Builder & Remodeler members from over 50 participating Manufacturers. You can visit www.HBArebates.com for more details. Plus you can take a look at the INSIGHTS Magazines which highlights the Member Rebate Program and many of their participating Manufacturers for each State HBA.